Bambi has always had a lot of “dog-like” habits. He likes to play fetch and even growls at strangers when he sees them walking past his windows. As far as his mom knew, though, he’d never been around or lived with dogs before — until the day she brought one home to foster. 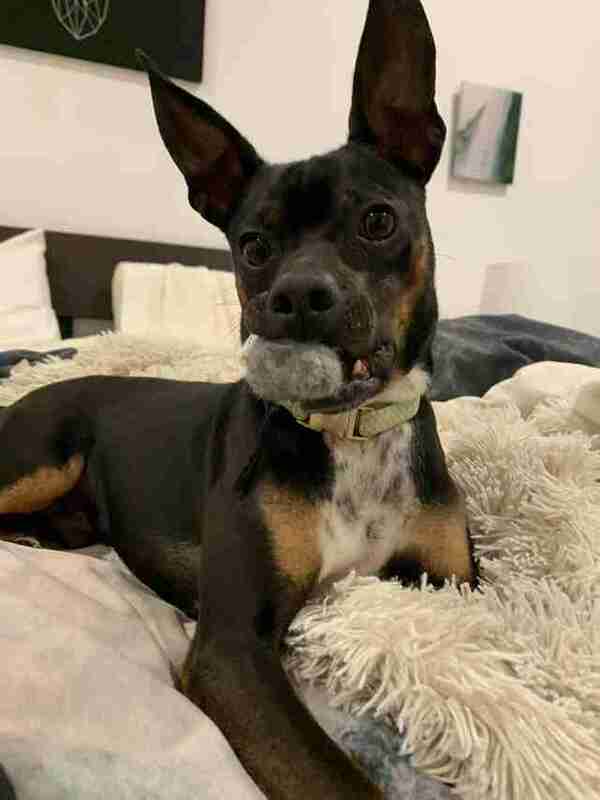 Jinny Ryann Pollinger, Bambi’s mom, works with The Dog Cafe in Los Angeles, and recently volunteered to foster a dog named Archie, a year-old mini pinscher mix who arrived at the rescue about a week ago. She had no idea how Bambi was going to react to Archie, but knowing that he was often afraid of change, she had a feeling he may not be too jazzed right away. 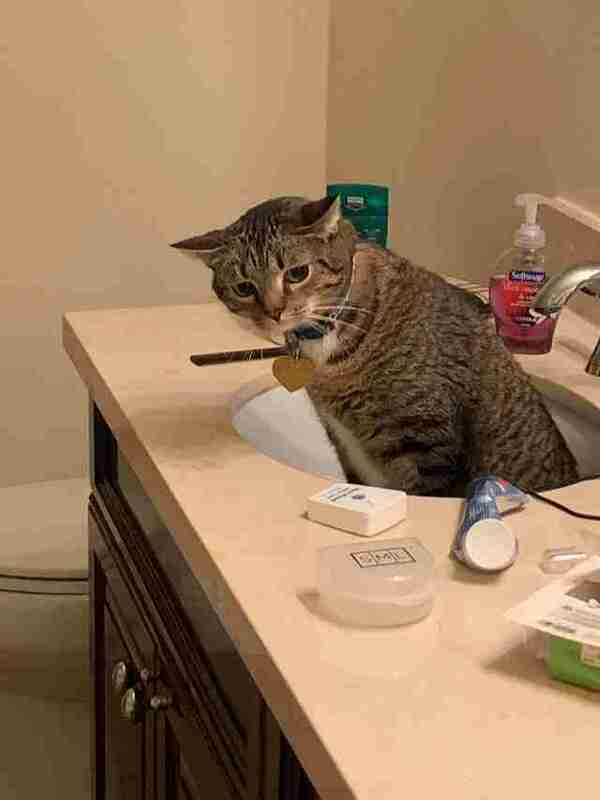 … and so eventually, he settled on the sink. Throughout all of this, Archie was very eager to meet and play with Bambi, but Bambi remained cautious — until the last day Pollinger fostered Archie, when Bambi finally started to give the adorable pup a chance. 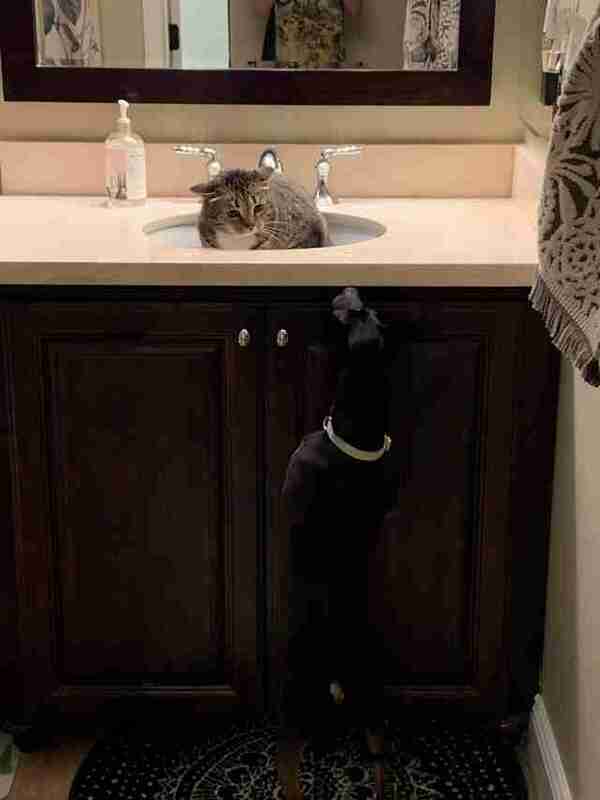 Archie has since returned to The Dog Cafe, but Pollinger might end up fostering Archie again — and is hoping that next time, Bambi will spend a little less time in the sink and a little more time being brave and learning to play with Archie. 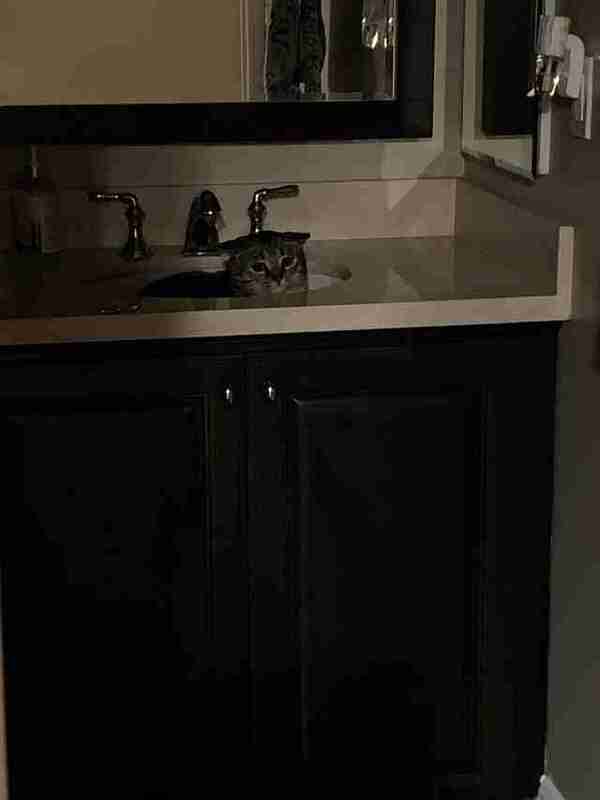 But, of course, the sinks will always be there, just in case.